New York Times Bestselling Author Julie Cantrell is offering a very special giveaway! One lucky winner will receive a personalized poem and signed copies of all three of Julie’s novels! Click here to learn more and enter the giveaway. Click the images below to be taken to the Kindle store. Nook links are given at the bottom of the post. Yancey, Alaska was a quiet town…until the truth of what was hidden in the depths off the coast began to appear. Bailey Craig vowed never to set foot in Yancey again. She has a past, and a reputation–and Yancey’s a small town. She’s returned to bury a loved one killed in the plane crash and is determined not to stay even an hour more than necessary. But then dark evidence emerges and Bailey’s own expertise becomes invaluable for the case. Cole McKenna can handle the deep-sea dives and helping the police recover evidence. He can even handle the fact that a murderer has settled in his town and doesn’t appear to be moving on. But dealing with the reality of Bailey’s reappearance is a tougher challenge. She broke his heart, but she is not the same girl who left Yancey. He let her down, but he’s not the same guy she left behind. Can they move beyond the hurts of their pasts and find a future together? Just a girl. The only one strong enough to break the cycle. In Depression-era Mississippi, Millie Reynolds longs to escape the madness that marks her world. With an abusive father and a “nothing mama,” she struggles to find a place where she really belongs. For answers, Millie turns to the Gypsies who caravan through town each spring. The travelers lead Millie to a key that unlocks generations of shocking family secrets. When tragedy strikes, the mysterious contents of the box give Millie the tools she needs to break her family’s longstanding cycle of madness and abuse. Through it all, Millie experiences the thrill of first love while fighting to trust the God she believes has abandoned her. With the power of forgiveness, can Millie finally make her way into the free? Julie Cantrell has penned two magnificent novels, Into the Free and When Mountains Move. I encourage you to read them if you haven’t already done so. Millie has a very special story to share! As a special holiday treat, Julie Cantrell has created a brand-new Thanksgiving story. Reenter Millie’s world and remember what it means to be thankful. Offer available now through tomorrow, August 27, at midnight! Don’t miss this amazing opportunity to download Julie Cantrell’s award-winning novel, Into The Free! The release of the sequel, When Mountains Move, is only days away. 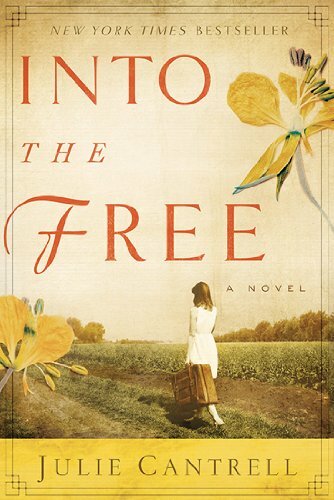 Into the Free, a New York Times and USA Today bestseller, won Christy Awards for Best Debut Novel and for Book of the Year 2013 as well as the Fiction Award from the Mississippi Library Association. 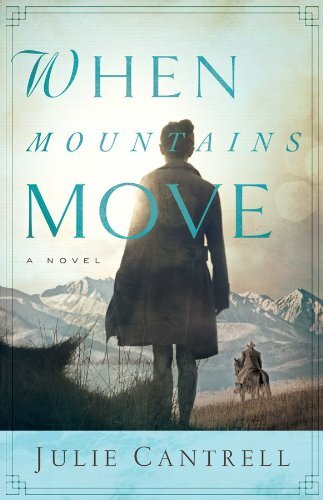 When Mountains Move is the sequel to Julie Cantrell’s award-winning debut novel, Into The Free. If you haven’t read, Into The Free, you simply must! It is the spring of 1943. With a wedding and a cross-country move, Millie’s world is about to change forever. If only her past could change with it. Soon after the break of day, Bump will become Millie’s husband. And then, if all goes as planned, they will leave the rain-soaked fields of Mississippi and head for the wilds of the Colorado Rockies. As Millie tries to forget a dark secret, she hasn’t yet realized how drastically those past experiences will impact the coming days. For most of Millie’s life, being free felt about as unlikely as the mountains moving. But she’s about to discover that sometimes in life, we are given second chances, and that the only thing bigger than her past … is her future. The majestic mountains of Colorado offer a fresh start for Millie Reynolds, even though secrets from her past remain. As Millie and Bump work together to establish a ranch, they are faced with many challenges. Millie continues to persevere and gradually begins to laugh and love and trust again. Slowly, she comes to the realization that she is loved, not only by those closest to her, but also by God himself. As this book so eloquently illustrates, love and forgiveness can certainly move mountains! When Mountains Move is a beautifully woven story of human resilience that lingers, in the mind and on the heart, even after the last page has been turned. I have no doubt that Julie Cantrell has written another award-winning novel and I look forward to reading more from this wonderful author! I highly recommend this book and encourage you to read it, if you haven’t already done so. I can’t recall ever being so thoroughly enthralled by a book or books as I was with Millie’s story. Julie Cantrell’s lyrical writing stirs and evokes emotion with every turn of the page. Your heart will ache for Millie through the suffering she endures; you will rejoice as she finds laughter and love. Thoughts of Millie Reynolds and the path she has chosen will linger in your mind even after you have closed the book. Thankfully, Millie’s journey doesn’t end here. The sequel, When Mountains Move, will be released September 1. I have had the privilege of reading an advanced copy of the novel and can’t wait to share my thoughts with you in the coming days. I will go ahead and tell you this…. Pre-order your copy of When Mountains Move today! * Into the Free received the Christy Award in the First Novel category and also received the Christy Award for BOOK OF THE YEAR. The Christy Awards honor and promote excellence in Christian fiction.